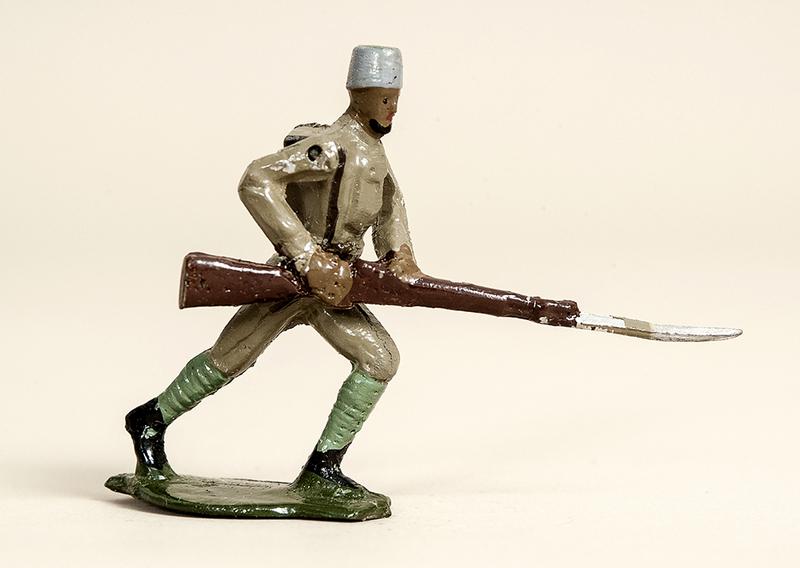 American manufacturer Comet sold a box set of King’s African Rifles slightly smaller than the standard 1/32 (54mm) scale, as part of their “Brigadiers” series which first appeared in 1940 and I presume continued into the 1950s, until they were superceded by the later Authenticast toy soldiers, although I know very little about the Comet company. 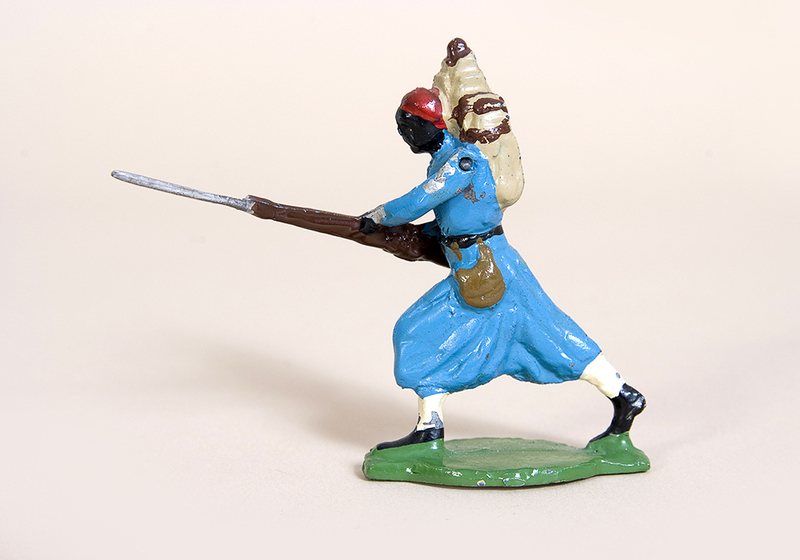 With their long trousers, green puttees and blue-grey fezzes, these figures look more like their opponents from the Schutztruppe of German East Africa than askari of the King’s African Rifles, although I am assured by Norman Joplin, the editor of Old Toy Soldier magazine, that they were sold as KAR. 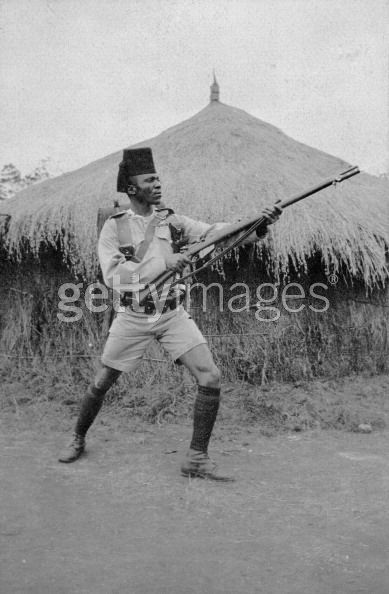 In the era these figures represent, between 1902 and 1920, most KAR battalions wore a red fez, although the 1st and 2nd battalions from Nyasaland (modern Malawi) wore black. Dark blue puttees were worn before and after the First World War, but replaced with khaki during the war itself. Long trousers may have been worn in malaria zones. Any of these variations may be what Comet had in mind – or it might simply be that their designer in far-off America got the details wrong! 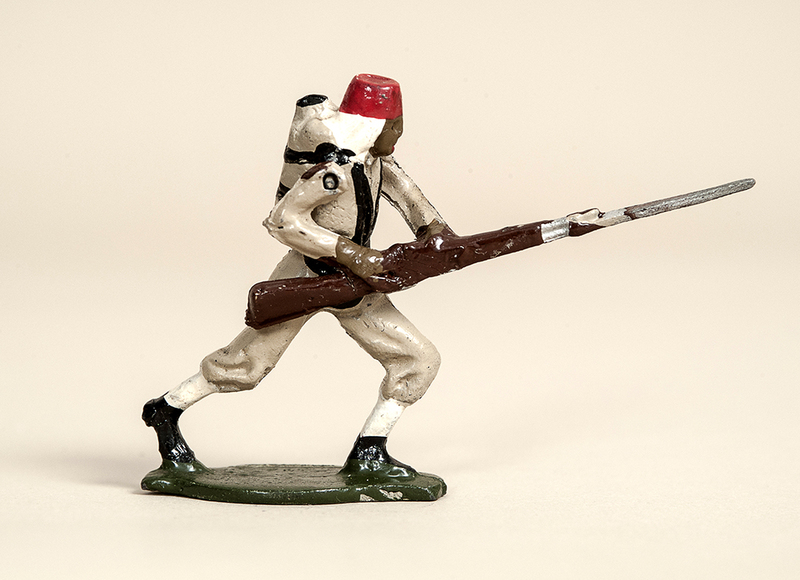 Arguably, another Comet figure – sold as Egyptian Infantry – is a closer likeness for the KAR.